There's currently Live Stream going ever since 03:00 GMT 27th Nov. Not sure how long it will be up so be sure to check it out. By the way, be quick, this session won't last forever! 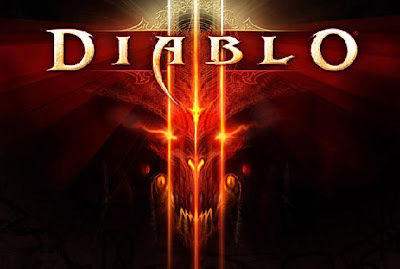 See Diablo III Live Stream at this address! Diablo III is soon-to-be-released Action-RPG title by Blizzard made for PC. It stays true to it's predecessor Diablo II. The game has been in making for several years now, and was first announced at June 28, 2008. The actual release date hasn't yet been defined, although it's most likely to be out early 2012. It's most likely my most awaited game #1 at the moment now after Skyrim has been released. Sure Diablo series have been more action emphasized and hack'n'slash style games -- leaning more towards Action-RPG -- than true RPG, but still I always loved the theme in Diablo games. Plus, even if they're more of Action-RPGs, they still lean towards classic 90's games more than modern PC games. Even if you look at the graphics in gameplay, it's very "old school" fashioned with it's top-down view and artistic interface.